Sorry, it’s been a while. It’s not you, it’s me. What with all the Christmas, New Year and freelance palaver, I’ve neglected my bloggish ramblings, and for that, I apologise. Coming soon though, the revelation that I have managed to dig some leeks, edible ones mind, from the allotment, the kids have finished their month-long gad-about in the Lion, the Witch and Wardrobe (see previous ramblings), I have added a Walking section to my chaotic schedule and I have work, quite a lot of it actually, for the New Year at least. Don’t say I don’t spoil you. Now it’s almost midnight so I’m off to bed. Review. The Lion, the Witch and the Wardrobe, Royal Theatre Northampton. Firstly, I should declare an interest. My two elder sons are in the ‘junior company’ of the Lion, the Witch and the Wardrobe, running at Northampton’s Royal Theatre until January 9th. However, as any parent who has had to endure school plays will know, it ain’t automatically good just ‘cos your offspring are in it. (Hand in the rose-tinted specs as you leave). But I’m not coming to LWW just as a doting parent. I’ve reviewed productions at Northampton’s theatres for ten years or more. As a local reviewer, you have to be honest, not sycophantic, but can’t be deliberately brutal like those who swan in and out of town for the Nationals. Thing is, this version of the Lion is actually really good. And I am completely ‘meh’ about all the Narnia stories. They just didn’t do it for me as adventures. I’m almost wishing I could find something wrong with the Royal’s version to show I’m not just bigging up something which has my kids in it. 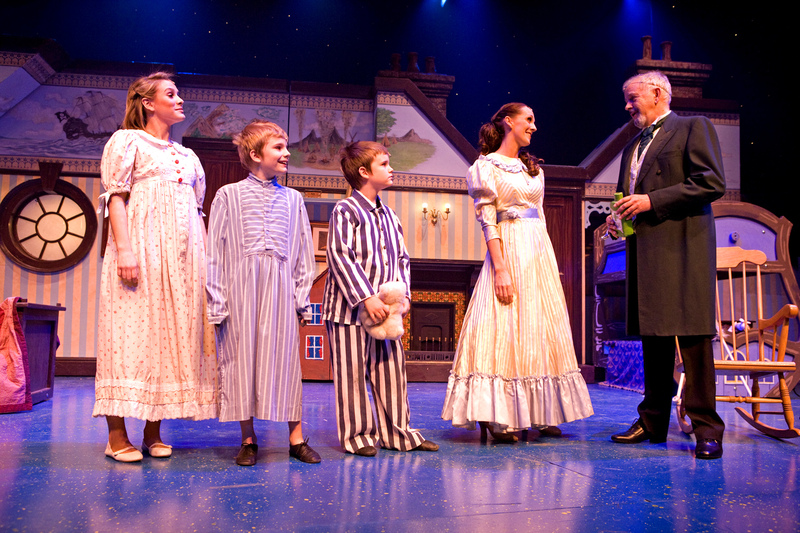 Director Dani Parr has a track record of making un-patronising, entertaining theatre for children. And although this story, published in 1950 and set in the war years, is far from ‘modern,’ our seven-year-old was gripped throughout. You spend quite a lot of time just gawping at the breadth of skills displayed by the actors. The striking and sickeningly-talented Georgina White, when not camping it up as the evil White Witch, also flits on and off stage to the visible ‘orchestra’ areas to play the saxophone and bassoon. All four adults-playing-kids Peter, Lucy, Edmund and Susan are capable singers and also play instruments (did I mention it had singing in it? My kids didn’t either). The set, as usual with the Royal, is stunning and clever and still manages to surprise. The wooden panelling is a great idea to show the evacuees’ home. And when the Wardrobe is opened to show the snow-bound Narnia, there’s a blast of cold air emanating from the stage to further stimulate the audience . Costumes too, are inspiring (I found myself envying the white queen’s fur-trimmed coat and wondering if I could get away with wearing it for the school run). Newcomer Hayley Ellenbrook is endearing and believable as Lucy, a role that could so easily irritate by a less able actor. 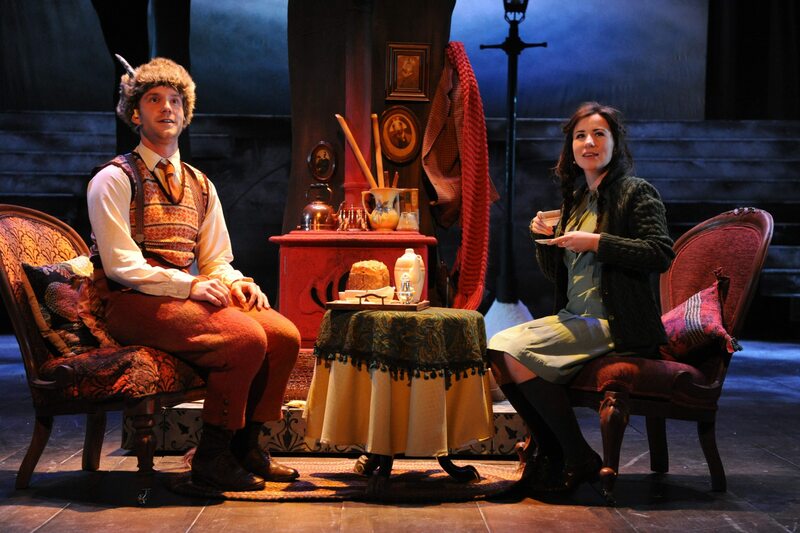 Peter McGovern’s Edmund is suitably detestable, while Mr And Mrs Beaver (Louise Shuttleworth and Matthew Henry) add a welcome touch of humour in a show that’s about as non-Christmassy as it’s possible to be, despite an appearance by the Big Man Himself. Usually there’s at least one mis-cast member of a production, but in L, W and W I just could fault anyone. Perhaps, just an itty-bitty-trying-to-find-a- criticism would be that there are too many damn children in it. But mine are great. Natch. 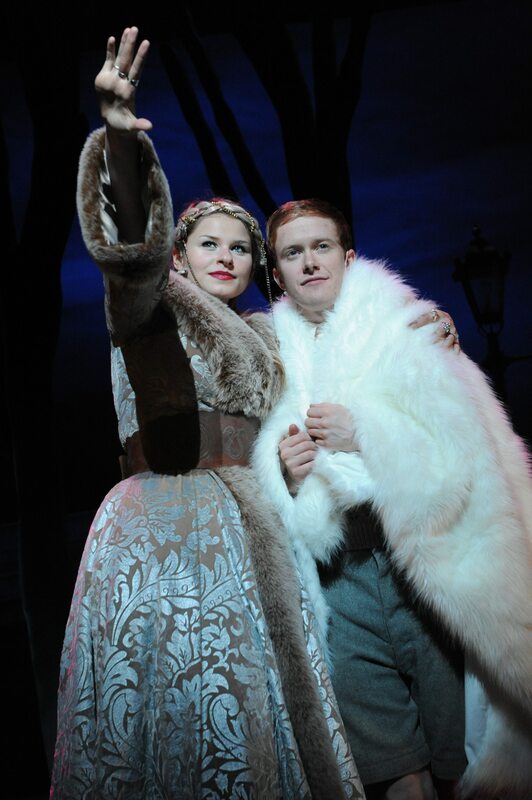 The Lion, The Witch and the Wardrobe runs at the Royal Theatre, Northampton, until January 9. Call 01604 624811 for tickets.